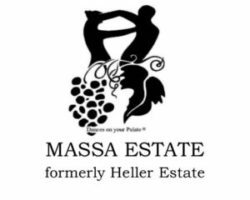 Heading into 2016, we are excited for the oncoming season as well as the prospects of spectacular wines crafted from both 2014 and the 2015 season. Late fall rains and the predictions of a strong El Nino – perhaps the strongest since 1997 – have us very hopeful for heavy winter rains. After four years of continued drought conditions, our vineyards and water table look forward greatly to drenching downpours. While the rains fall (or hopefully) we are busy taking care of our 2014 and 2015 reds as well as our young white wines in our cellar and barrel rooms. Red wines will be topped roughly every 30 days, as wine tends to evaporate in the barrel over time. 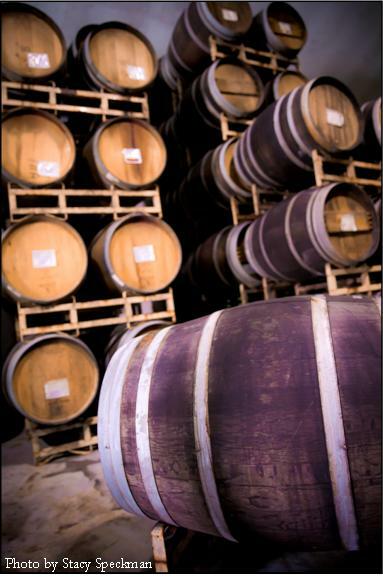 Topping each barrel is meticulous work but a necessity to keep the wine sound in the barrel. Just after the New Year we will also be preparing to bottle some pretty stellar wines that have been aging perfectly in our cellar. Wine club members can look forward to our next vintage of Estate Cabernet Sauvignon – the 2013. Broadly structured, bold and packed with luxurious dark fruit and sweet oak, this wine has all the earmarks of one of our finest in years. In addition, the 2013 Cabernet Franc is sure to excite and astound with a rich, round mouth feel and highly structured body and finish. Hot on their heels, we also have a beautiful, broad shouldered, and intensely fruit forward 2013 Petite Sirah that is, in essence, as intense and complex as the region we grow our grapes – the Cachagua Valley. Due to the success of our 2012 Kiss of California Chenin Blanc, we also are preparing our next installment of this wine – the 2015. Super bright and crisp, this dry example of our Chenin is a perfect alternative to Chardonnay and Sauvignon Blanc. Exhibiting strong grapefruit character along with other citrus flavors and aromas this wine is sure to be a big hit – especially during the hot summer months. As our vineyards slumber and receive some much needed and deserved rest prior to the oncoming growing season, we wish everyone in our club an incredible 2016. Your support of our wines and tasting room over the years contribute to our efforts to grow each and every wine from 100% organic grapes. This support dramatically and positively impacts our natural surroundings, environment, water table, air and community in a multitude of ways. We salute your dedication to our farming practices and are honored to continually craft these highly unique, hand-made wines that, do indeed, dance on your palate.